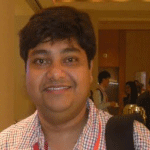 Tribeni Prasad Banerjee was born in Bankura, West Bengal in 1981. Dr. Banerjee completed his B.E. from Burdwan University in 2004 and M-Tech, Ph.D. all in from Electronics and Telecommunication Engineering Department of Jadavpur University in 2008 and 2013 respectively. Currently he is serving as an Assistant Professor at the Dr. B. C. Roy Engineering College, Durgapur, West Bengal, India. Dr. Banerjee research interest is Intelligent Control, Fault Tolerant System Design, Intelligent Bio-informatic System Design, Statistical Signal Processing, Neuro Fuzzy-Computing, Robotics Navigation, Hybrid Vehicle, Intelligent System Design using Computational Intelligence, Embedded System, Sensor Assisted Pattern Recognisation, Mechatronics, Intelligent Bio Inspired System and Renewable Energy specifically Solar System. Dr. Banerjee published more than 25 research paper in various International Journals and top International Conferences. He is the recipient of the best student paper award in 2008 based on his Masters thesis in Jadavpur University. Tribeni is a Senior Member of Institute of Electrical and Electronics Engineers (IEEE), USA and he is also a member of Computational Intelligence Society (CIS), USA. Dr. Tribeni Prasad Banerjee has been acting as a regular reviewer for various pear review journals like Information Fusion, IEEE Transactions on Multimedia, IEEE Transactions on SMC Part A-Systems, Journal of Mechanical Science and Technology, Information Sciences and Swarm and Evolutionary Computation. He has been associated with the international program committees and organizing committees of several regular international conferences including IES, IEEE CEC, IEEE SSCI, ICETET, SEMCCO and FUZZ IEEE.